Ever thought about celebrating Easter in Spain? If ‘NO’ is the answer, now is the time to book your next flight and head to the breathtaking Spain. The Semana Santa is a one-of-a-kind mix of tradition, culture, festivals, and fairs. 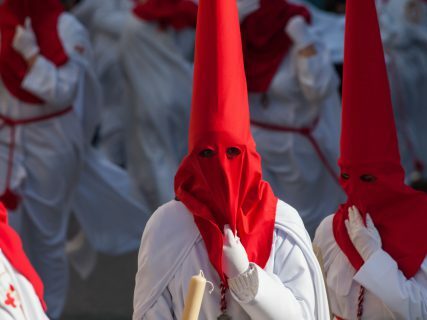 The Spanish take Easter to a new level and remind us what the holiday is really about- and at no surprise…it’s something more than just a white rabbit and colored eggs. There is nothing more divine than experiencing the Semana Santa by yourself – the 7 days dedicated to re-enacting the journey to the Cross. Keep reading and find out some more information on this celebration. 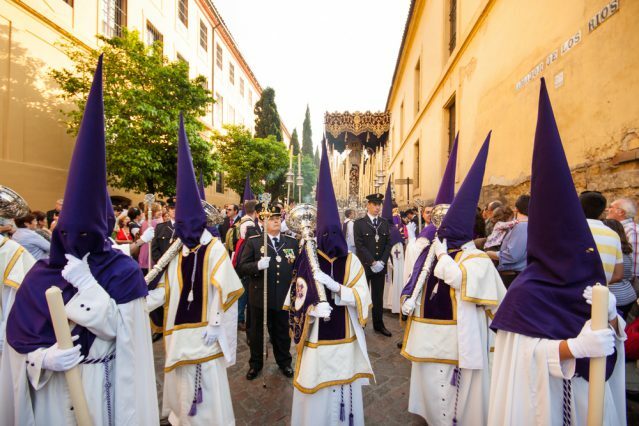 The dates of celebrating the Semana Santa vary each year. Thus, in 2019, the Holy week will begin on the 14th of April and will end on the 21st of April. 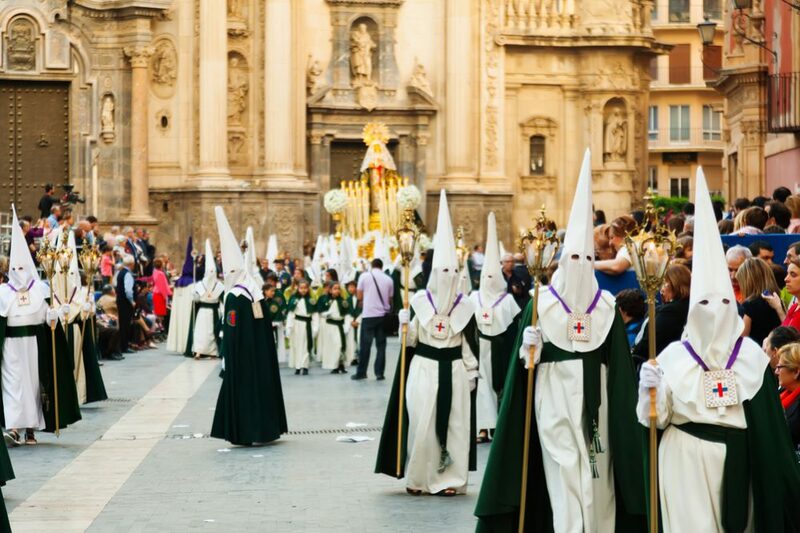 Each day of the Semana Santa is filled with religious festivities parading through the cities. All of them represent a different event or symbol. The processions feature two intensely adorned floats, one celebrating Christ, the other one-Virgin Mary. The figures are followed by the music of coronets and drums. The floats are led by the members of the brotherhood and all are dressed into colorful silk robes with pointed hoods. The brotherhoods and the floats are followed by the mourners who are dressed in black clothes decorated with lace veils. As the mourners are carrying candles, they mourn the death of Christ. 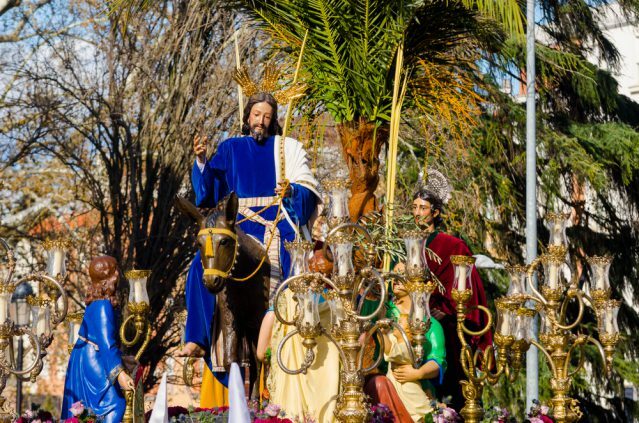 The processions are simply spectacular… don’t miss out on the opportunity to spend the Semana Santa and celebrate Easter in Spain. During the Semana Santa, there are several processions each day. Here is what you will see while there. The first day of the religious processions is called Palm Sunday, and it is the most cheerful day. Kids parade through the cities carrying big palm trees to commemorate the entry of Jesus into Jerusalem. The procession on this day lasts the longest. The parade is called Jesus the Captive and is followed by colorful floats carrying statues of Jesus and Virgin Mary. After the floats, come the gypsies singing and dancing around the city. The procession on this day is known as Virgen de las Penas. There is a throne with religious figures dressed in flowery cloaks. The men who carry the float move it up and down according to the musical rhythm. 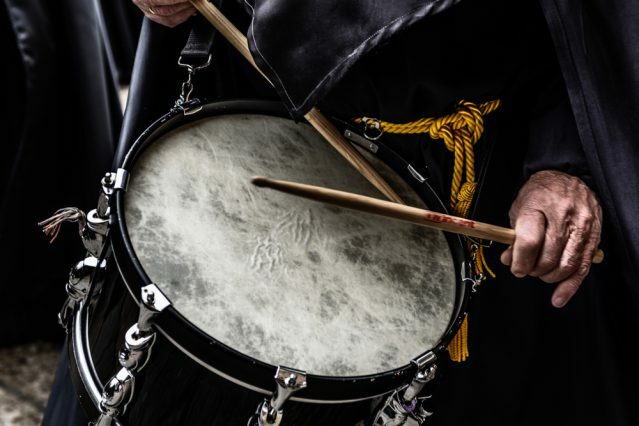 Wednesday is the most famous day, as the parades are unique. It is about letting out the prisoner. The tradition goes back to the 18th century when the prisoners planned a getaway. After the getaway, they started wearing their own parades and went back to their cells. King Charles wore a custom of letting out a prisoner each year on the Holy Wednesday. Up until now, prisoners accompany the figure of Christ each year. This day is featured with the parade of Legionaries that start at the port. The day commemorates the washing of the foot and the Last Supper of Christ. This day is celebrated to commemorate the crucifixion and death of Christ. The parade is the most silent out of all the week’ parades. The brotherhood of the office town hall follows a religious figure called Virgen de los Dolores. Las Servitas is the last procession of the Good Friday. On this day, the families spend their time attending churches and having a traditional lunch. The Resurrection parade features black and purple gowns that are changed into white and green. What Can You Eat during the Semana Santa? Chocolate eggs are quite popular during Easter, however, when it comes to Spain, the eggs are not really a big part of the Easter celebrations. Spanish do have some sweet stuff to offer for the Semana Santa. Some of them are even tastier than chocolate eggs. Pestinos- It comes from the region of Andalusia and it is usually served only during the Semana Santa. So, hurry up, this is your only chance to try some. 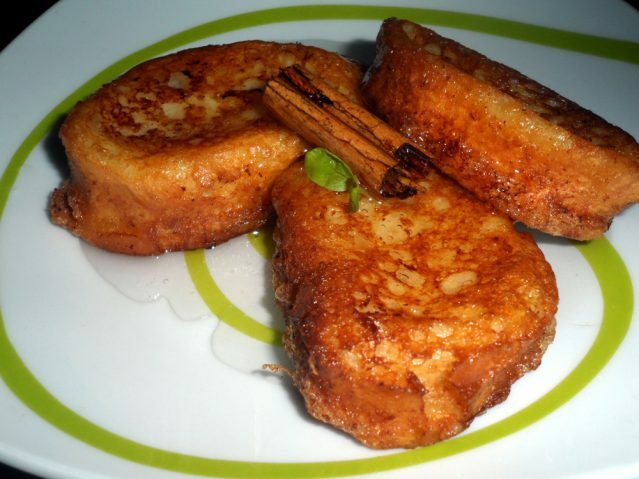 This specialty is made of flour aniseed, wine, olive oil and a little bit of sugar and is glazed with honey or sugar. Bunuelos- These are doughnuts with a twist. However, they are not typical doughnuts, they have no hole in the middle. In fact, they are irregularly shaped, friend and topped with chocolate cream. Monas de Pascua- This is the cake of Easter. People usually give it as a present, especially godparents to their godchildren. The cake is something like a big ring with a boiled egg inside. Torrijas- This is a very traditional sweet snack made of bread soaked in milk and egg, then fried and served with sugar and honey. The torrijas can be found anywhere in Spain during the Semana Santa. Since the processions during the Semana Santa are all over the cities, there can be traffic disruptions. Some roads may be closed, so it better to rely on public transport rather than driving/ hiring a car. In addition, please note that some of the shops and restaurants may be closed on Thursday and Friday (because these days are public holidays). 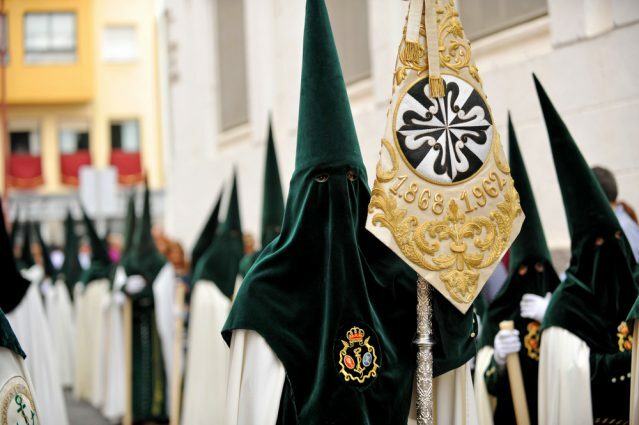 The Semana Santa is the biggest religious celebration in Spain for Easter. Therefore, the locals, as well as many tourists, enjoy public holidays, plenty of drinks and food and many religious processions. Easter is the time when people take some time to go to the streets and marvel at the holy processions. Planning an Easter in Spain? Visit our website and find the perfect accommodation for your Easter holiday. And don’t forget to tag us into your Semana Santa photos on Facebook/Instagram.